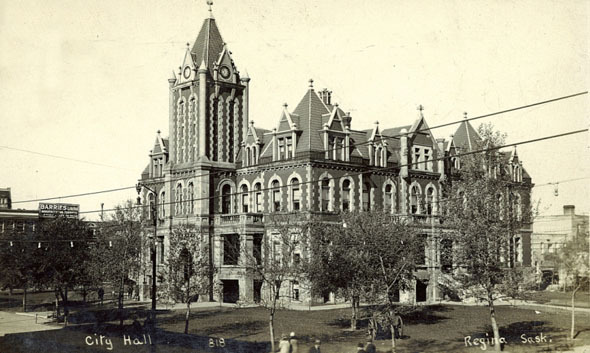 The old “gingerbread” 1908 City Hall on 11th Avenue between Rose and Hamilton Streets. Like its wooden predecessor, the buildinge was used for everything from lectures to dances – even boxing matches were held within. However, by 1963, the revered old hall was showing its age and all civic offices were moved to the Old Post Office building. The building sat vacant for two years until it was demolished in 1965 to make room for a shopping centre.